Uncharted 4: A Thief’s End goes “far beyond” anything developer Naughty Dog has been able to do in previous instalments. So says director of communications at Naughty Dog, Arne Meyer, also saying that Uncharted 4 is the “version of Uncharted [Naughty Dog] has always wanted to do”. Uncharted 4 is undoubtedly the most ambitious yet in the famed series. 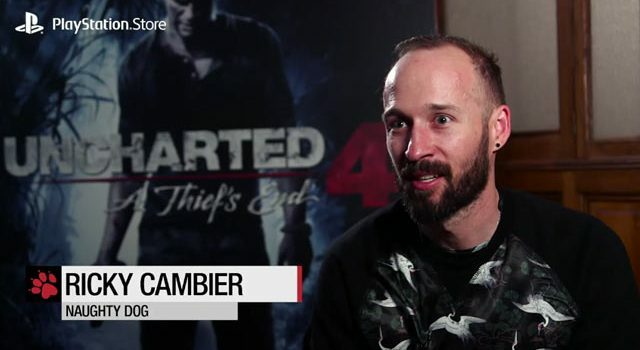 Naughty Dog writer Ricky Cambier says the game is the first time the studio has really been able to take advantage of the PlayStation 4 hardware, having only worked with it for The Last Of Us‘ PS4 port from PS3. “We get to push that hardware, and we offer one of the most personal stories for Nathan Drake yet,” he said. Watch the full developer insight below. There’s less than two weeks now until Uncharted 4: A Thief‘s End hits PlayStation 4. The lead-up to the launch hasn’t been without controversy, however: some gamers got their hands on early copies of the game after shipments were stolen.